A Lawyer by training. He was called to the Nigerian Bar in December 1989, having successfully completed his Bachelor of Laws degree at the University of Benin (UNIBEN) in 1988. After his NYSC programme, he practiced at the Law Offices of DEJI SASEGBON & CO. Upon leaving that Firm in 1994, he became an Associate in the Law Chambers of M. O. C. OKOCHA & CO. Due to his profound desire to make a career in Insurance which he came in contact with in his final year at the University, he enrolled in the professional examinations of the Chartered Insurance Institute of Nigeria (CIIN) and studied for the examinations privately & qualified as an Associate, Chartered Insurance Institute of Nigeria in 1998. 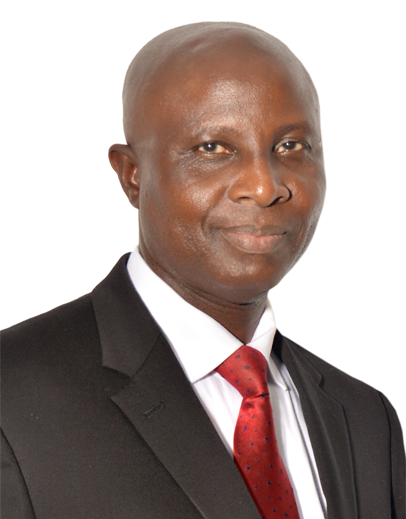 He is now a Fellow of the Institute and an alumnus of the Senior Management Programme of LAGOS BUSINESS SCHOOL. He started his Insurance career with Crusader Insurance Plc in March 1998 from where he moved to ELMAC Assurance Company Limited as Assistant Manager in February 1999. He was shortly thereafter promoted to a full Manager and became the substantive Head, Claims/Risk Management & Legal Matters. His wealth of experience as a Lawyer and Chartered Insurer has been of immense value to the Company.